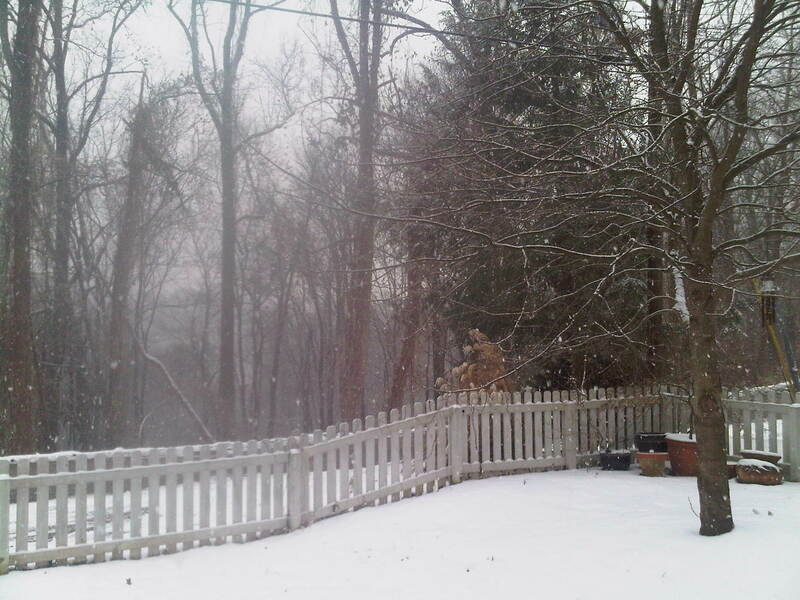 It seems so perfect that today, in the midst of our winter wonderland among the West Virginia hills, that I am able to share reflections from Anne Clinard Barnhill on her snowy childhood memories here. Winter Solstice is Anne’s much-anticipated submission to the Essays on a West Virginia Childhood project. This project is a direct result of A Better West Virginia’s annual initiative to strengthen the mountain state. If you were lucky enough to have a West Virginia childhood, you may know instantly what Anne means when she speaks of long winter walks connecting her, even in her tender years, with what “belonged to the infinite.” Thank you, Anne, for sharing your memories! Anne has been writ­ing or dream­ing of writ­ing for most of her life. For the past twenty years, she has pub­lished arti­cles, book and the­ater reviews, poetry, and short sto­ries. Her first book, AT HOME IN THE LAND OF OZ, recalls what it was like grow­ing up with an autis­tic sis­ter. Her work has won var­i­ous awards and grants. She holds an M.F.A. in Cre­ative Writ­ing from the Uni­ver­sity of North Car­olina at Wilm­ing­ton. Besides writ­ing, Anne also enjoys teach­ing, con­duct­ing writ­ing work­shops, and facil­i­tat­ing sem­i­nars to enhance cre­ativ­ity. She loves spend­ing time with her three grown sons and their fam­i­lies. For fun, she and her hus­band of thirty years, Frank, take long walks and play bridge. In rare moments, they dance. 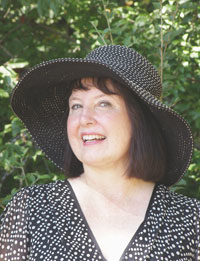 You can find more about Anne on her website,www.anneclinardbarnhill.com. If you are in the Winston-Salem, NC, area you will want to visit Barnhill’s Wine Art and Gifts on January 29 at 2:00 p.m.. Anne will be reading, signing, and discussing At Home in the Land of Oz and What You Long For (a collection of short stories). From what I gather listening to other folks, a whole lot of people don’t like winter–they complain about the cold, the snow, the ice, the heating bills–just about every part of the season. I, on the other hand, adore the quiet months of December, January and February. This affection for what some describe as a dark and dreary time comes from my growing-up years in West Virginia. I remember watching the gathering clouds, heavy and gray, stack up and up and up until the whole earth was pewter, the sky thick with pearly puffs. I would sit on the antique couch in our living room in front of the picture window and watch as the flakes began to fall–big at first, then tapering to tiny, fast flurries. I knew the small flakes were a good sign the snow would continue and pile up several inches–enough to cancel school the next day. Secure in that early wisdom, I would skip my homework , saving it for tomorrow, to be done in the luxury of my bedroom, clad in the red-and-white striped flannel pajamas my dad made for me. Instead of studying, I would stay on the couch in the quiet front room and watch the snow. Sometimes, my mother would bring me a mug of tea or hot chocolate, though she usually saved the chocolate for when I came in, wet and freezing, from sledding. My dad would build a roaring fire that sputtered and popped, sending little fireworks up the chimney. My parents puttered around on those days, leaving me alone with my daydreams. And daydream I did–me, pirouetting onstage in a pure-white sugarplum costume; singing “the hills are alive with the sound of music” and twirling across a mountain meadow; kissing Errol Flynn in ROBIN HOOD (yes, he was before my time, a hero of my father’s, but I found him irresistibly handsome in those old Saturday morning movies); and reading my poetry to a rapt crowd, bongos beating in the background. High-faluting dreams for a girl tucked away in the West Virginia hills……while some might have found those hills confining, I found them inspiring. The path behind my house led to Suicide Rock, an enormous boulder that, according to local legend, was the site of a dismayed Indian maiden who threw herself off the edge in despair over a broken love affair. Often, I walked down the mountain, following the path strewn with leaves and sticks to that magical spot where the story happened. Squirrels skittered through the woods and the occasional tapping of a woodpecker gave a rhythm to that world, the song of the forest becoming part of my blood, part of my own beat. Alone in the woods, stories buzzed around me like gnats. I climbed Suicide Rock and plopped down on that rough granite, imagining that the Indian maiden heard the very sounds I was hearing, felt the soft wind through the trees and saw the deer in the distance. I dreamed other stories there on the rock and grew to love my own company and the pleasures of solitude. That love of being alone found its best expression in midnight walks during winter, the moon casting an eerie glow to the entire world, the snow reflecting the light in loving response, Endymion to Diana in every pale snow pile. I would head out at what my mother called “the witching hour” and walk down the road until my nose got so cold it began to drip. The silence was palpable and soothing, the world muffled with a snowy blanket, soft as a baby’s comforter. I couldn’t have said it at the time, but what I experienced in those long winter walks belonged to the infinite–God, the imagination, time’s longing for itself–and those interludes gave me a hunger for the spiritual, an appetite that is only satisfied when I return to the mountains, those winding roads that lead to moments of mystery, found in the West Virginia hills. What a lovely post Ms. Barnhill. I could almost feel the cold as you walked the road at the witching hour. I hope to come and visit you at Barnhill’s on the 29th and pick-up your novel, “At Home in the Land of Oz”. Thanks so much, Sarah. I’ll be so happy to meet you on the 29th! Please remind me about who you are when we meet. I’ll also check out Guardian Spirit. Anne, I love this essay so much…..I keep reading and re-reading it just for the pleasure. It just clicked for me that your father made your flannel pajamas. Now that sounds like a story unto itself! You are too kind! Yes, I guess those pj’s would make a story–typical of my dad’s “can do” attitude! I really enjoyed your essay and did not realize that you live in Winston-Salem. Your essay broght back many memories of my childhood in Kanawha County and in Philippi. Connie (Short) and I live south of you in Salisbury. We have been here for nearly 34 years and I work at the local community college in College Advancement. I see your posts on Facebook occasionally as I am not often in Facebook. Perhaps we will get a chance to get up to your bookstore and see you sometime in the future. Wow Jerry, I had no idea we were so close. I actually live in Garner and the book store is not mine–not relation either as far as I know. I’ll be travelling up to WS–hope you can make it–would love to see you and Connie! I have such fond memories of WV. You didn’t make the reunion, did you? It was wonderful to see all those folks! Glad we are FB friends! Thanks for the memories – my childhood was in the (even snowier) lands of Western New York, but I had many a tromp through the woods during the 20-plus years I was a proud Mountaineer! Thanks, Val! I still remember exploring the woods–something kids don’t do anymore much–at least not alone. That’s sad, I think. Hi Anne… Of course, I am so proud of you and all your writing accomplishments. I truly love when you take me back to West Virginia and especially Philippi. My fondest memories are of growing up in that wonderful town. I always “Dream” in Philippi. I only wish I had a small portion of your writing talent. Thanks, Anne, for the free publicity about one of my stronger skills. Please advise your soon-to-be disappointed public that I no longer sew. No one can ever call me an old sew and sew again! You are too funny! I love you–maybe I’ll write about our famous Christmas tree next!! Ummmm delicious memories from the creative soul that shared the hill. I only wish I would have been along on your moonlit walks. And, I never knew the origin of the name “suicide” in that boulder most explored and conquered behind our homes. More, more! I wish it was snowing so beautifully, right now, here in FL.